The subject of soulmates is perennially popular but the idea of “finding your soulmate” has always focused predominantly on the belief that once you’ve found each other, you will live happily ever after. Such a meeting can bring untold opportunities – the chance to heal wounds and resolve ‘unfinished business’ from past lives – as well as the soul growth and understanding to be had from liaisons which may be more difficult, but which are just as powerful and important. Some soulmates come into our lives to give us wake-up calls and the opportunity to see things differently. 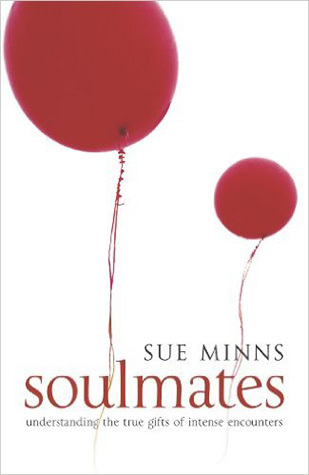 Sue Minns discusses the nature of the soul, explaining what exactly a soulmate is – and how to recognise one – as well as why they come into our lives when they do. She reveals how finding a soulmate can be not only an intense and unforgettable experience in its own right, but also a step on the path to opening your heart and mind, changing the way you see the world, and leading you towards a partner who is truly right for you. Soulmates is being rewritten and will be available here soon. 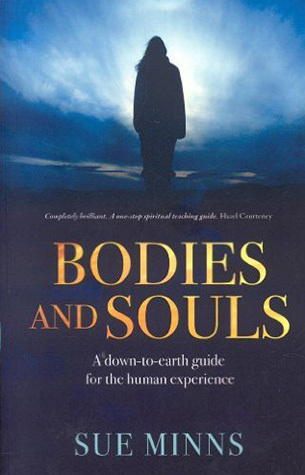 If you are confused by the array of spiritual ‘wares’ available for a seeker on the path to Self knowledge, or you need a refresher on the foundations for expanding awareness, then “Bodies and Souls” is an invaluable source book. Spiritual explorers will find this comprehensive guide brings ancient wisdom into sharp focus in the light of frontier science and offers deep insight into a wide range of subjects which include the value of past life exploration, the soul story behind childhood experience, how to deepen your meditation, why the ancient Egyptians valued the heart, whether you may be a psychic, channeller, healer or shaman, astral travel, crystals, angels and spirit guides, the chakras as ‘microchips’ of the soul, the body’s mind and the heart’s intelligence.